What was it like to live during the time of Jesus? Where did people live? Who did they marry? What was family life like? And how did people survive? 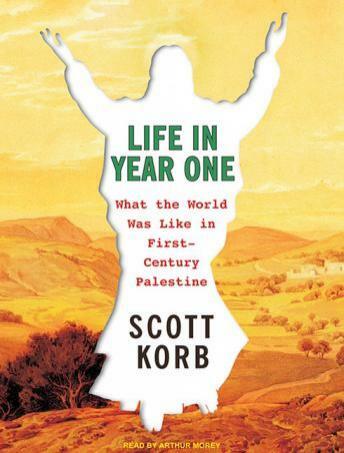 These are just some of the questions that Scott Korb answers in this engaging new book, which explores what everyday life entailed two thousand years ago in first-century Palestine, that tumultuous era when the Roman Empire was at its zenith and a new religion-Christianity-was born. Culling information from primary sources, scholarly research, and his own travels and observations, Korb explores the nitty-gritty of real life back then-from how people fed, housed, and groomed themselves to how they kept themselves healthy. He guides the contemporary listener through the maze of customs and traditions that dictated life under the numerous groups, tribes, and peoples in the eastern Mediterranean that Rome governed two thousand years ago, and he illuminates the intriguing details of marriage, family life, health, and a host of other aspects of first-century life. The result is a book for everyone, from the armchair traveler to the amateur historian. With surprising revelations about politics and medicine, crime and personal hygiene, this book is smart and accessible popular history at its very best. Not what I expected. This app isn't that great because you can't choose what chapter you're in and the narrator reads every foot note in the book. When I would try to read along it would get to a foot note and then continue for 5 minutes on useless things that I don't need to know.